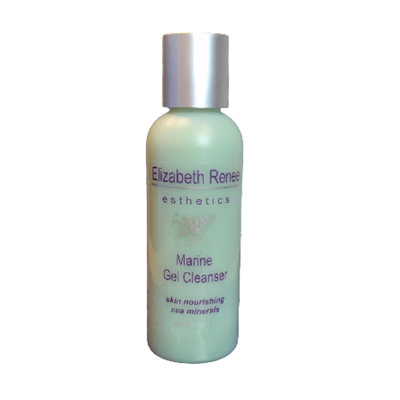 Let the healing power of the sea restore balance to your skin with this deep-cleansing seaweed froth by Elizabeth Renee Esthetics. This cream/gel cleanser loosens oil and dirt buildup as it helps condition and rehydrate your skin. It smells deliciously of lemons and limes and cleans thoroughly with a mild froth that leaves your skin feeling super fresh. This is a favorite among young people and our male clientele, who enjoy a simple, no-nonsense cleansing routine. Sucrose Cocoate - A Japanese patented sugar ester that cleanses the skin gently and eliminates the need for harsh surfactant detergents that are drying and sensitizing.